Arsenal reopened a gap at the top of the table with a win over West Ham as Manchester City were held by Bristol with Chelsea breathing down the neck of the top two after a win over Everton. Elsewhere Birmingham showed their European intent with a late win over Reading as Brighton bested their cause with a victory at away to Liverpool. On the back foot early on as Jane Ross struck low for her fourth of the season, Arsenal rallied to pull level with a Leah Williamson header before Janni Arnth grabbed a debut goal in similar fashion moments later. All square once again after Ross doubled her tally again almost straight from a goal kick, the Irons sagged under the pressure from the visitors as Daniëlle van de Donk grabbed her first of the afternoon. Having bagged a hat trick against the same opposition earlier in the season, van de Donk soon had her brace when she flicked the ball home from point-blank range, putting the match out of reach. Two teams that make themselves hard to break down, it was possibly of little surprise that there wasn’t a goal to be had until after the hour when the hosts took the lead when Kerys Harrop nodded the ball over a stubborn Grace Moloney. A tie that doesn’t always deliver on drama, there was plenty to be had late in the day when Remi Allen sent the ball over the line at the second time of asking at a free kick. The parity allowed to stand for seconds before Lucy Staniforth’s free kick at the opposite end glanced off of Meaghan Sergeant’s head and bounced over Moloney’s outstretched gloves. A goal to the good six minutes in after a quick one-two between Beth England and Erin Cuthbert, Chelsea didn’t look back after breaking the deadlock. 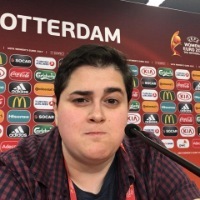 Up against a steely Kirstie Levell, the hosts had to wait until after the hour to finally get the better of the 22-year-old for the second time, Drew Spence toe-poking Karen Carney’s corner home at the near post for a cushion. Hannah Blundell’s first of the season ten minutes later enough to put the gloss on as the defender picked out the bottom right corner. A close-run contest when they met earlier in the season with the Reds grabbing a late win, Brighton looked to strike back at Prenton Park, the Seagulls looking dangerous from the off. With Ini Umotong unlucky to have caught the woodwork at a driven corner, Laura Rafferty pounced, firing the ball between Laura Coombs’ legs as the midfielder desperately tried to clear off of the line. Making no mistake early in the second half, Umotong fired low to put the ball into the far corner and leave Liverpool little room for a reply. Forced to mount a late comeback when the two sides clashed in September, the Citizens once again found themselves frustrated by Tanya Oxtoby’s youthful Bristol. Allowed to stroll through the box at her own pace, Abbie McManus put the ball on a plate for Nikita Parris, the in-form striker picking out the bottom right corner ten minutes before the break. 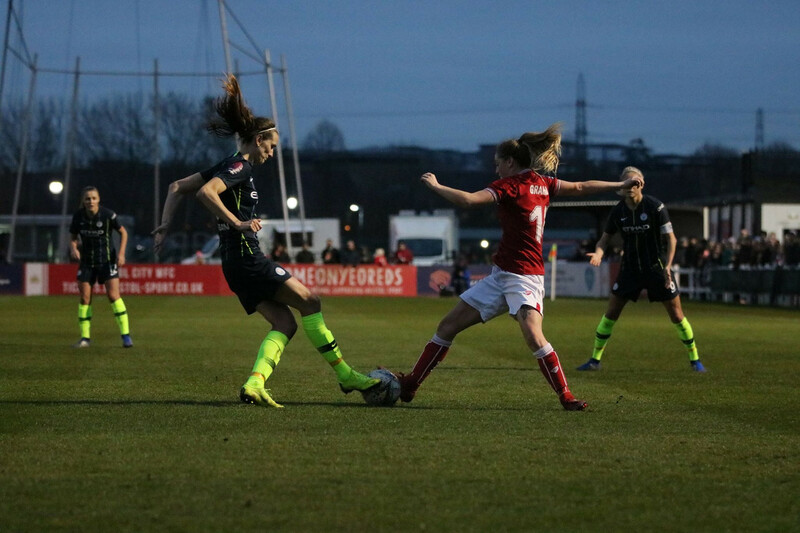 Not a team to let their heads drop, the Vixens rallied and following a foul in the box levelled the scores thanks to Lucy Graham’s clinical spot kick. With the match – and complexion of the table – hanging in the balance, the hosts dug in, thwarting City at every turn, the resolute defence denying their opposition a winner.